After two weeks of Sand Pears in the pick box and me on my own, I decided to preserve them. 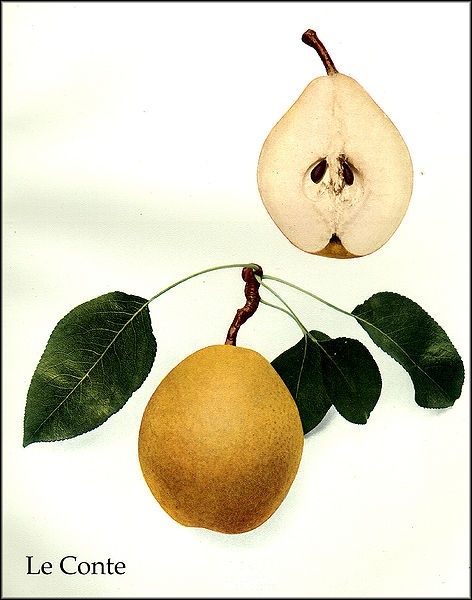 Sand Pears are also known as Le Conte pears, after the guy who brought them to Georgia and cultivated them, John Eatton Le Conte Jr. His father was the Le Conte who wrote a fascinating, if not entirely accurate, government report on his exploration of the St John’s River and eastern Florida that he undertook in the Spring of 1822. 2 cups of distilled vinegar. 4 slices of fresh ginger. 4 small sticks or cinnamon. Bring the vinegar, water, sugar, and honey to a boil. Peal the pears, cut them in halves or quarters and remove the seeds and stem. 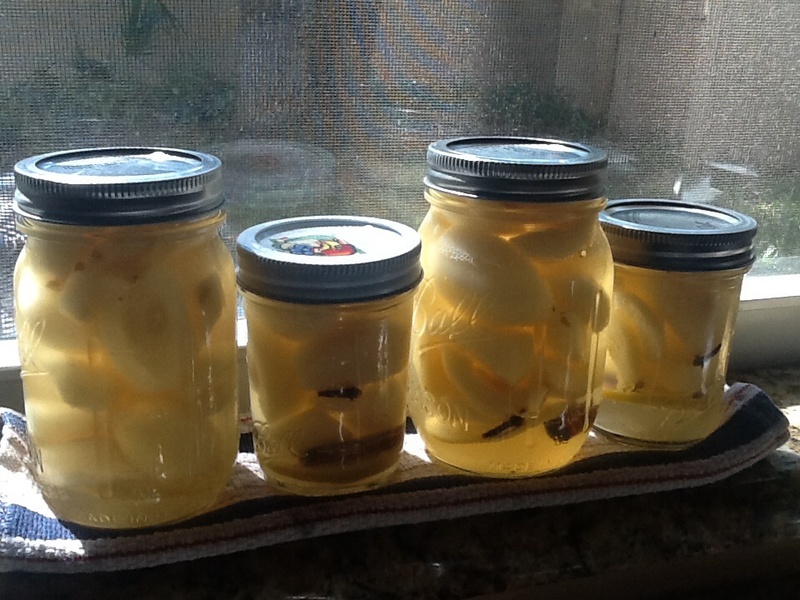 Distribute the ginger, lemon and cloves evenly between four canning jars (I ended up with two 500ml and two 250ml jars.) add the pears to the jars packing, but not squashing them. Pour in the pickling liquid and tap to remove the bubbles. Close with lids and boil in a water bath for ten minutes and keep for a week before eating. If you prepare the jars and lids correctly, and the seals are tight you can store these outside the fridge.